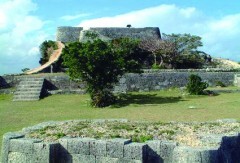 The ruins of Katsuren Castle appointed as world heritage in 2000 is located in Uruma City. 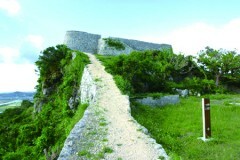 Designated as a Historical Site, there are several shrines and caves in the area. 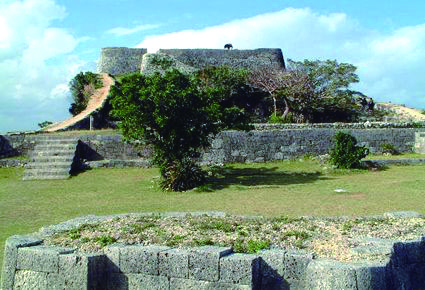 Katsuren Castle was built by Lord Amawari between 13th and 14th centuries. It’s easy to see why Lord Amawari chose this location. With a steep hill leading down to the ocean and great view in every direction, it would be easy to spot, and defend against any approaching enemy. He brought great prosperity and glory to Katsuren through agriculture and trade.